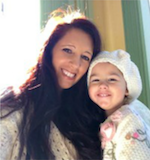 How much fun is teaching and learning the alphabet?! The answer is soooo much fun. If you are looking for some great ways to get your children learning their abc’s, look no further. I have packed this page full of fabulous information, crafts, games, sensory play, printables, and more. All for you and your little one. here at Natural Beach Living. 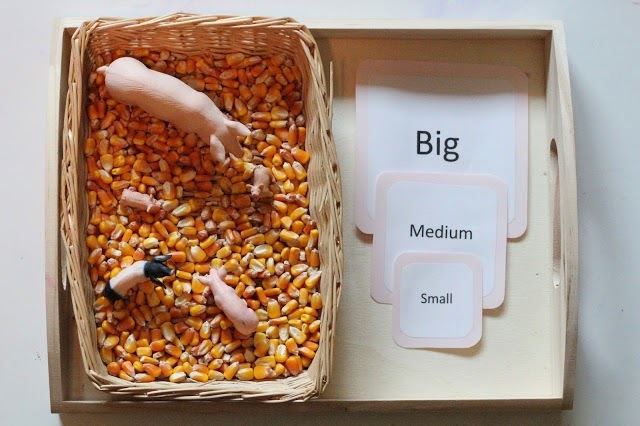 How about a little Sensory Play with a wonderful alphabet book. 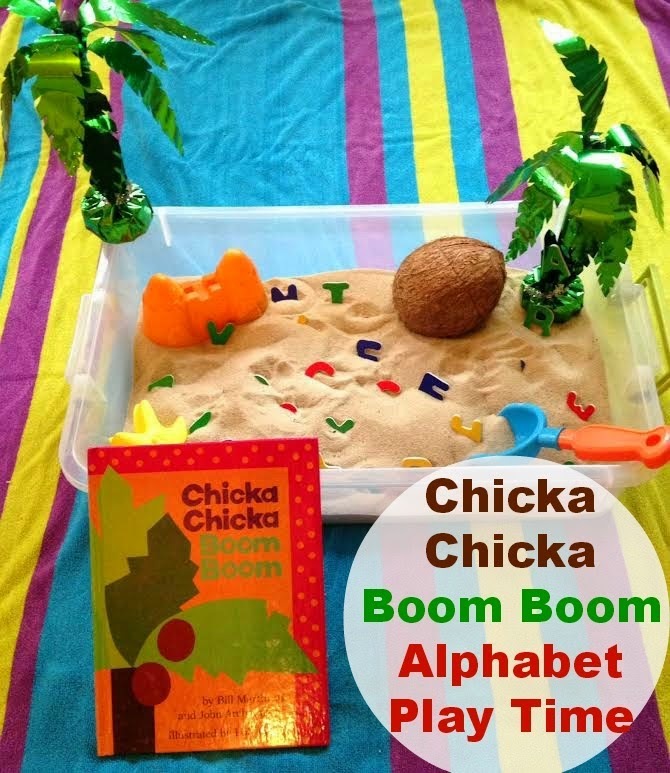 Chicka Chicka Boom Boom at the Beach. 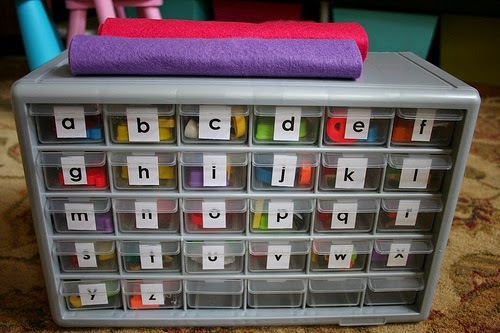 Living Montessori Now has many different DIY alphabet boxes, perfect for getting organized too. 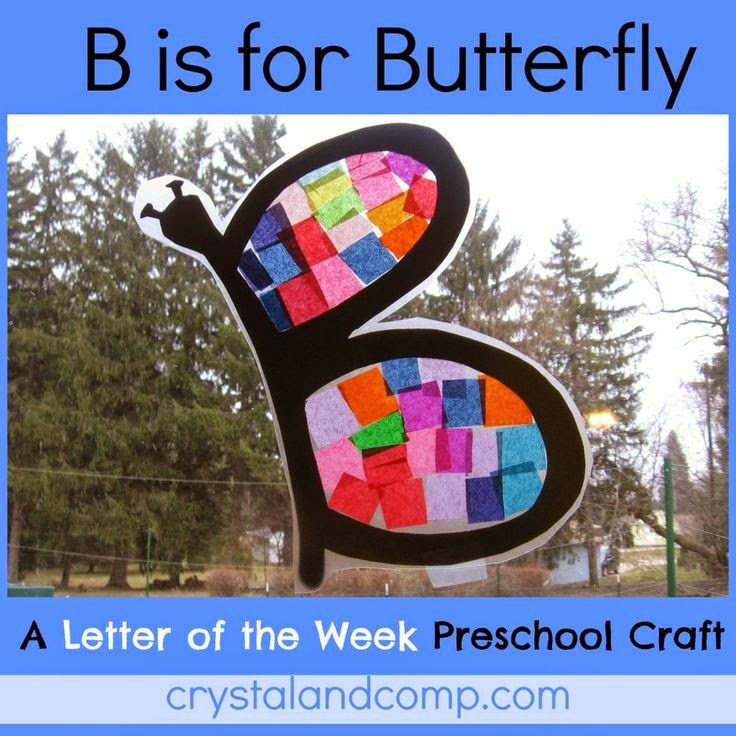 You definitely want to check out this amazing abc alphabet flower garden from Buggy and Buddy. toddler APPROVED has a terrific abc matching game with a train and a super cool sticky wall, check them out. Lemon Lime Adventures shares an icy i-spy alphabet adventure. 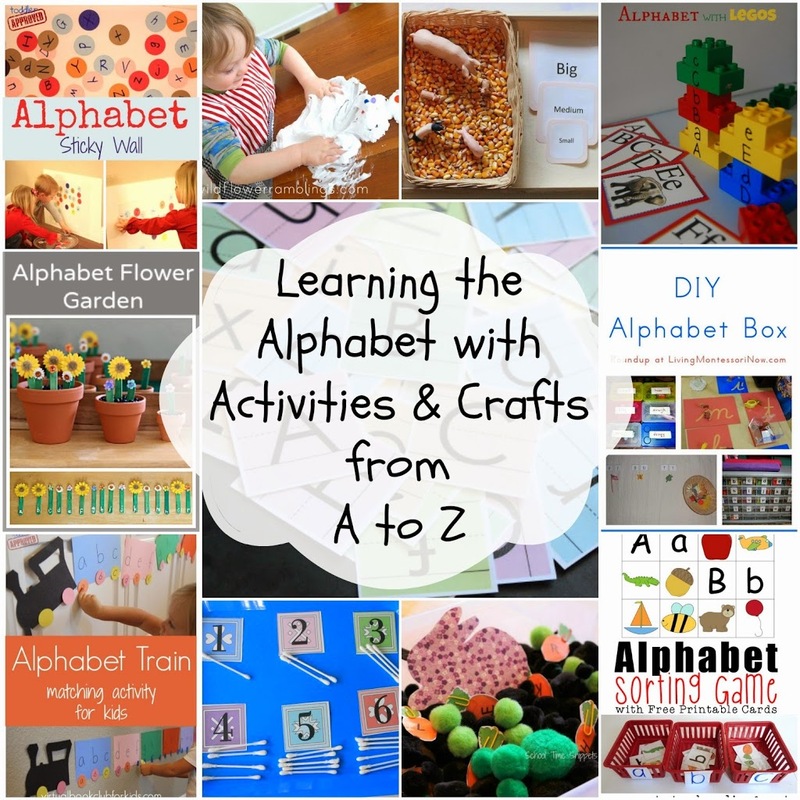 Crystal & Co will have you crafting through the alphabet with these fun projects. ALLterNATIVELearning has a wonderful themes planer which includes the alphabet. 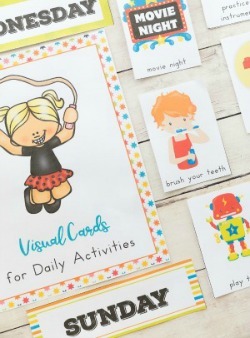 I love free printables, don’t you? 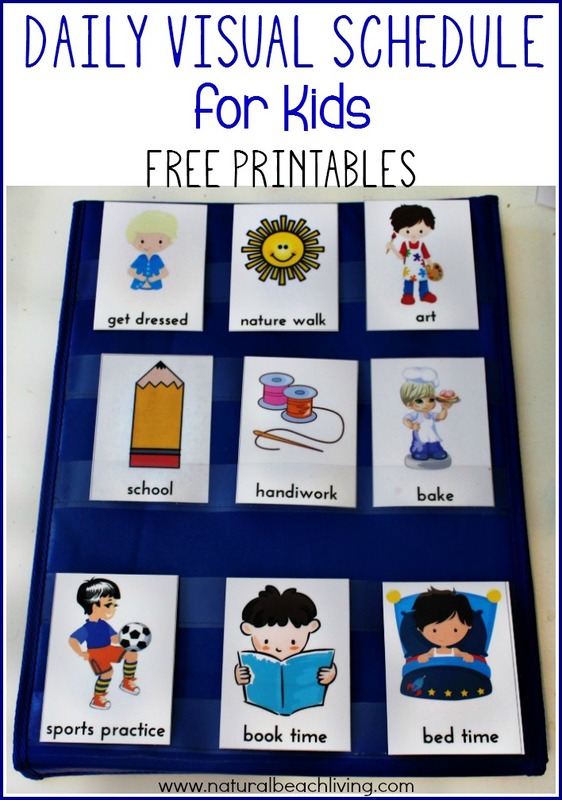 totschooling has a great alphabet sorting game with free printables to get your little one learning. Letter P tot school from The Kavanaugh Report is Perfect! Letter S week from Wildflower Ramblings was soooo sweet. School time Snippets, has an abc Carrot Patch sensory experience that is adorable. I love the icy i-spy alphabet adventure from Lemon Lime Adventures. What a great way to learn and explore. I am a 63 year old retired bachelor with no kids, so I am almost ready to use your ideas myself. Fabulous. Thanks for sharing these! What great ideas! I remember in preschool, I had to color an alphabet letter every single day and I always looked forward to it! 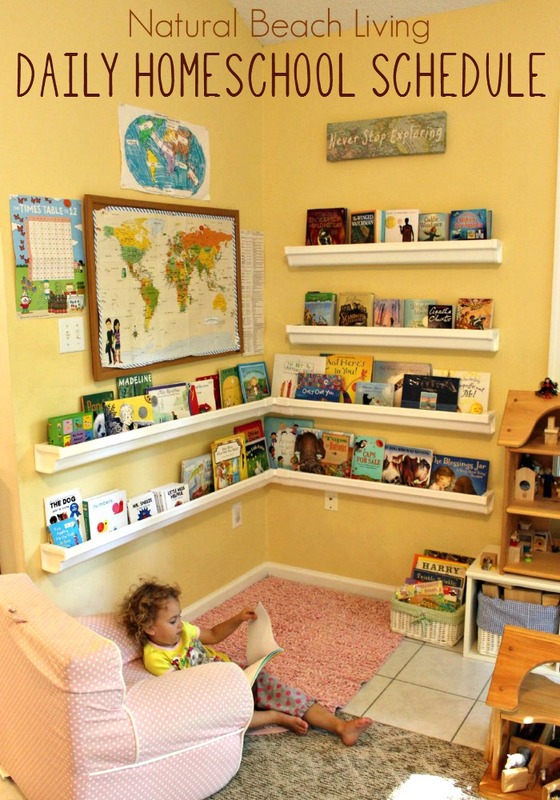 The key is finding fun ways for kids to learn, and these all are wonderful ideas! I love these ideas. I have done some of these at a preschool as well as in kindergarten. Thanks for sharing! What great ideas! I can’t wait to try them this week. Some great creative ways to teach those letters. I love it. Thanks for sharing. 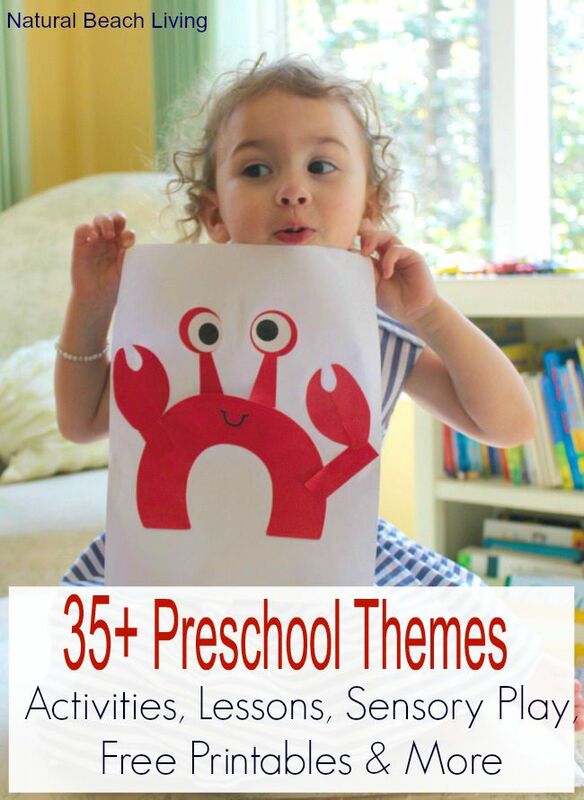 These ideas are awesome – the children will really have fun! These ideas are fabulous. These will surely keep children attentive and having fun while learning. It was a very interesting article and easy to understand. I think this is very good for learn the alphabet! There are some cool ways for kids to learn the ABC’s and numbers. They look like they will make it interesting to the kids and keep their attention. 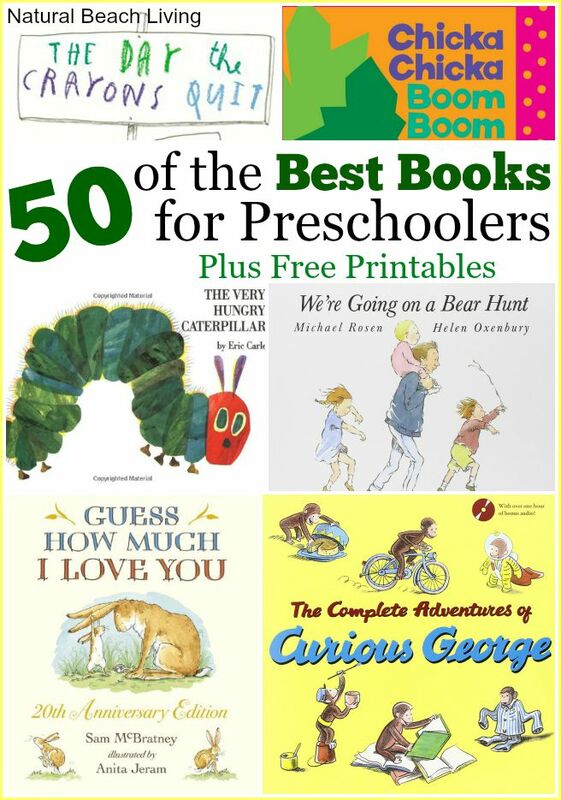 Great resource for parents of littles! Awesome tips and an informative article. Thank you! This is such an awesome resource! Thank you so much for putting this together!!! I can’t wait to start learning our ABC’s. 🙂 Pinned! Thanks for sharing these. 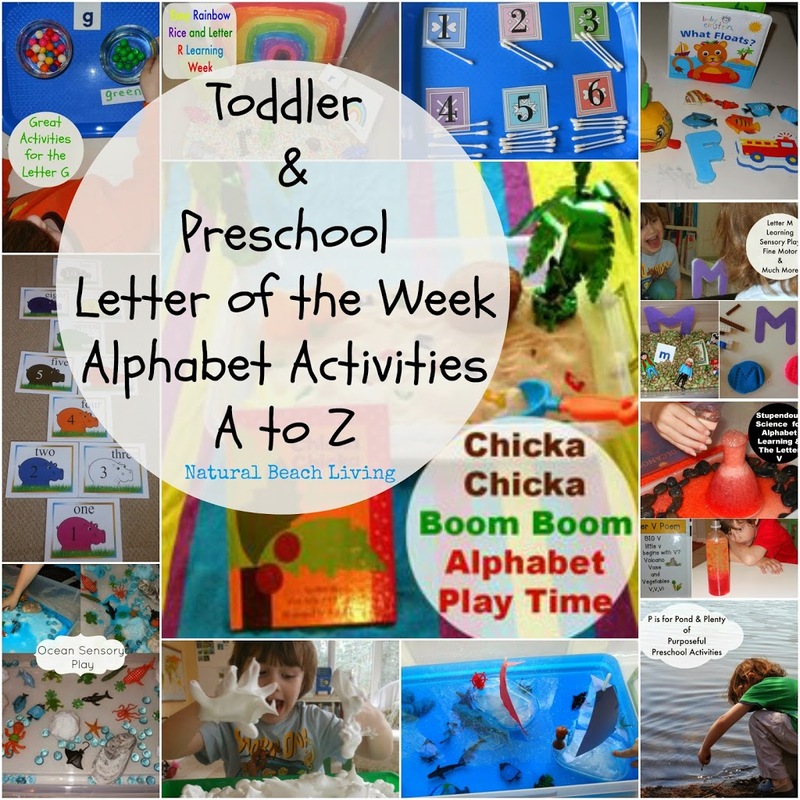 Amy is started to show some interest in letters and these are great ideas. I love the alphabet garden! So adorable. Great playful learning round-up! This will be a wonderful resource post. :) Thank you! Great ideas! I will pin it so I can come back and look at them in depth this weekend. What fun ideas! Can’t wait to try them out! Pinned! Wow! Tons of great ideas and what a giveaway too! I’ve pinned and shared 🙂 Thanks for sharing this great post Kimberly!